Analysis of Arctic sea ice monitors shows rapid melt in the Beaufort, Chukchi, and East Siberian seas is currently underway. Since the beginning of summer, this large area of sea ice has shown significant thinning. 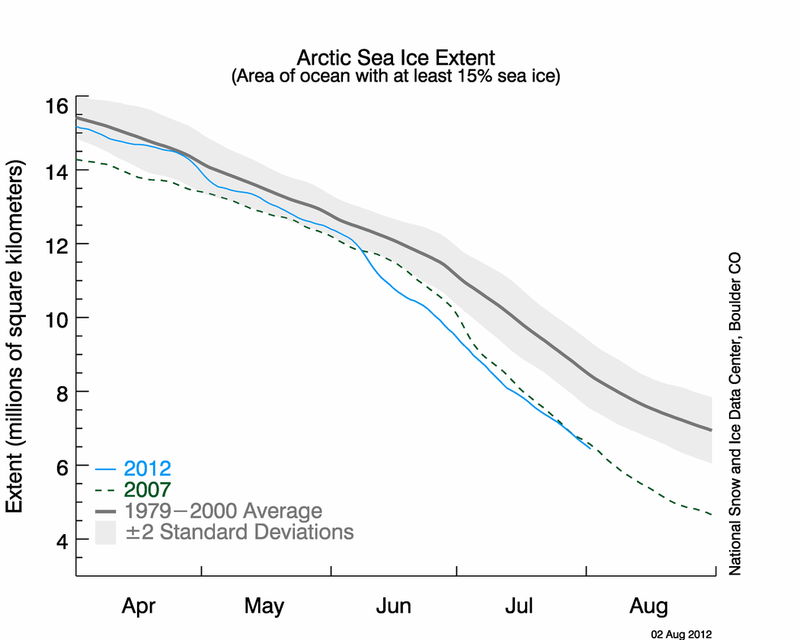 Over the past week, this thin ice reached a tipping point and is now melting. You can view this area in the above image by looking northeast of Eastern Siberia and northwest of Alaska. The image is provided by the Japanese Space Agency (JAXA) and shows very thin ice undergoing collapse in this vulnerable area. Throughout the region, sea ice is becoming very thin, spreading out, and splitting into large holes the size of islands. 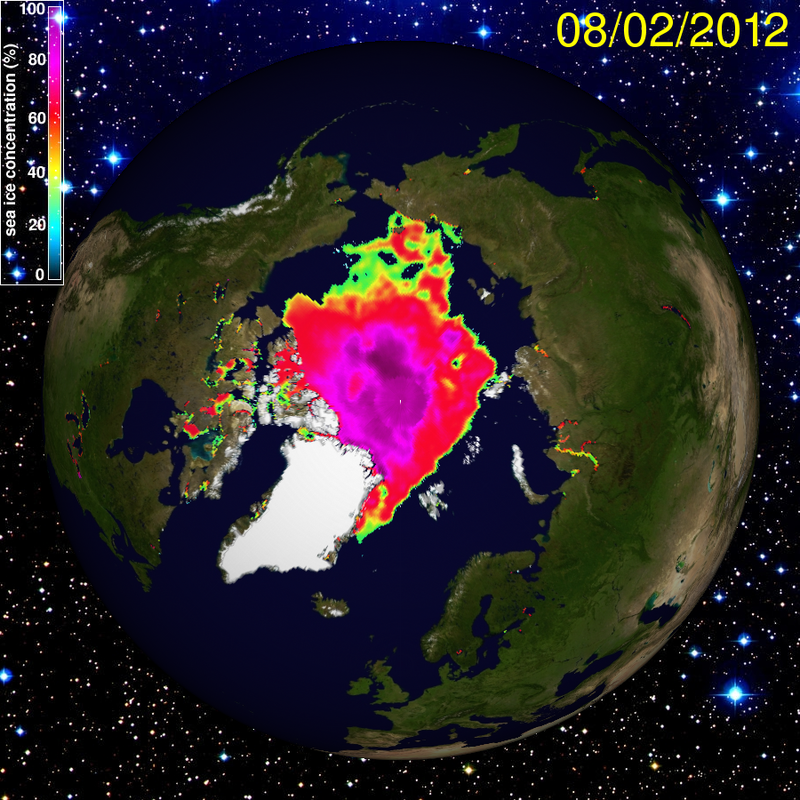 During the record melt of 2007, this area also experienced unprecedented rapid melt. The above infrared image, provided by the Polar Research Group at the University of Illinois, shows holes opening up in the ice in this region as well as an increased number of melt ponds forming on the surface. 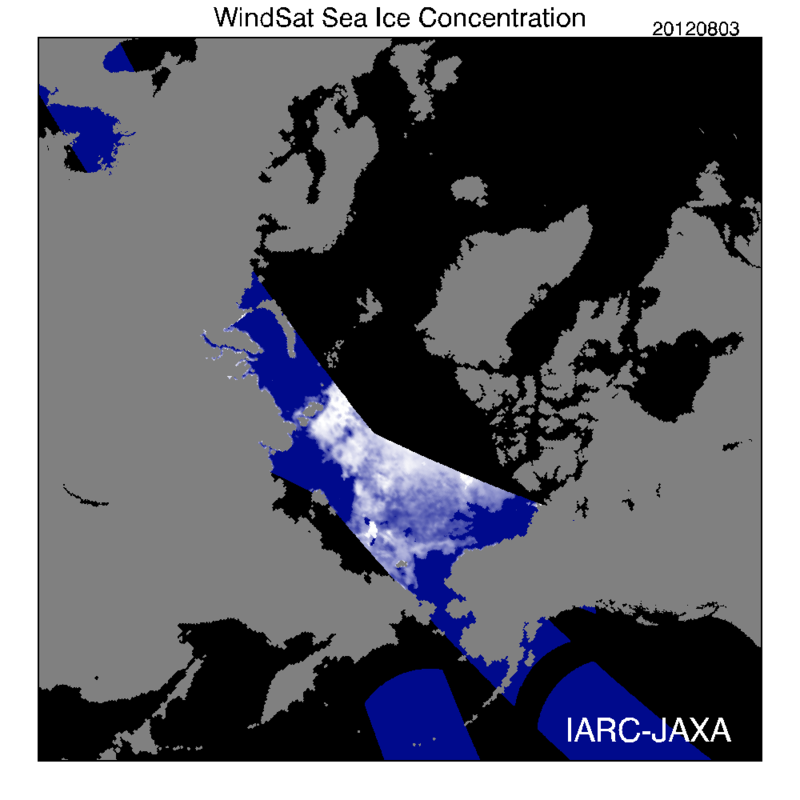 According to the image, ice concentration throughout much of the region is at 50% or less. What’s important to recognize is the fact that if this region continues its rapid collapse, world sea ice area and extent will likely come in at or below the record figures set in 2007, continuing a trend of catastrophic ice loss for the Arctic Ocean. If you click through the link, you’ll notice the 2012 area line is, as of this writing, about 350,000 square kilometers below the previous record low. 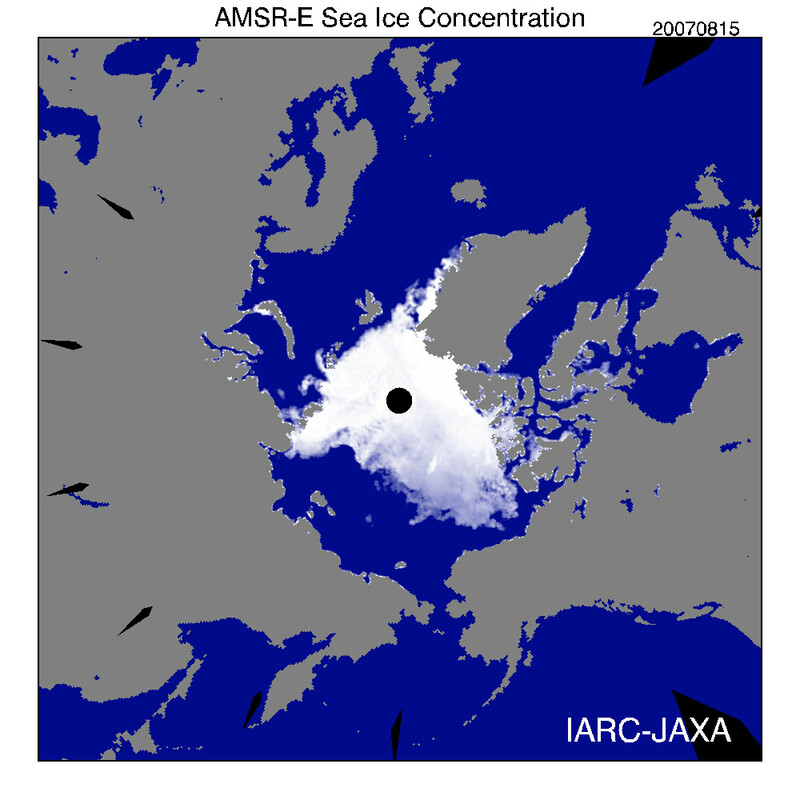 Sea ice area measures both the edge of the ice as well as the holes that are measurable in the satellite picture. As with the images, what the trend lines show is that end of summer 2012 could reach or exceed the record lows for sea ice area and extent set in 2007. There is potential, however, that any new record low could be substantially below the 2007 record due to the fact that sea ice throughout the Arctic is very thin and, therefore, vulnerable to melt during periods of warm weather.